In the heat of the Arizona desert, a raging fire pushes temperatures to a deadly degree, and one woman is left to burn. Pulled naked and barely breathing from the fire, the victim has no idea who she is, let alone who would do this to her -- or why. In her hospital bed she drifts in and out of consciousness, her only means of communicating a blink of the eye. And then an angel appears. Misguidedly known around town as the "Angel of Death," Sister Anselm has devoted her life to working as an advocate for unidentified patients. To her burn patient, she is a savior. But to this Jane Doe's would-be killer, Sister Anselm's efforts pose a serious threat. 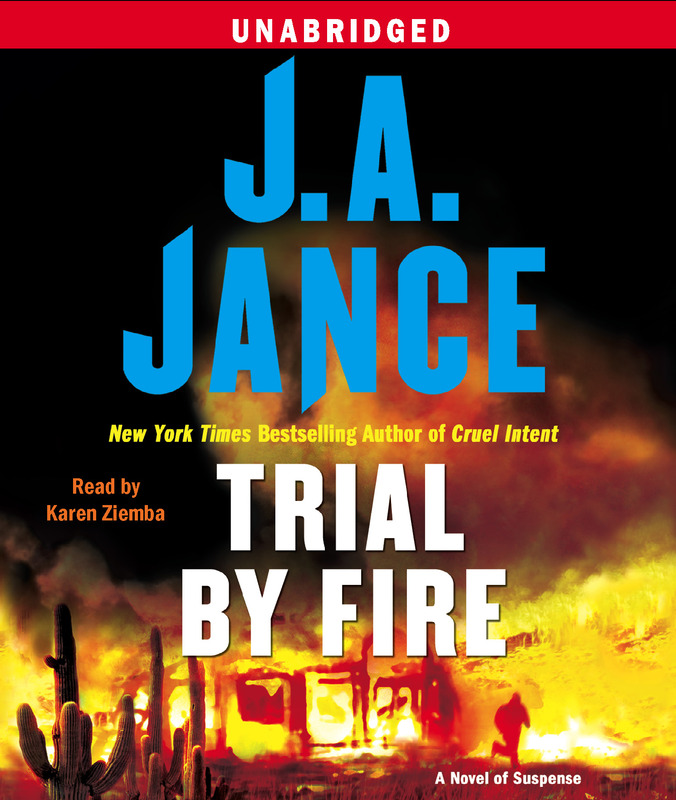 This reading group guide for Trial by Fire includes discussion questions and a Q&A with author J. A. Jance. The suggested questions are intended to help your reading group find new and interesting angles and topics for your discussion. We hope that these ideas will enrich your conversation and increase your enjoyment of the book. 1. How does the advice that Ali Reynolds offers in her speeches at the high schools come into play in her own life? Do you believe she is being honest in the advice that she gives to graduates? 2. Ali admits that she does not really need any more money, yet she accepts the job with the Yavapai County Sheriff’s Department. Why do you think she does this? 3. Ali initially states that she and B. Simpson could never be together due to their age difference. What makes her change her mind? 4. Discuss the character of Sister Anselm. What were you initial thoughts about her and her “Angel of Death” moniker? Does she really live up to it? Why do you think she is so quick to trust Ali? Can she? 5. There is an underlying theme of allegiance throughout the novel –allegiance to people, to institutions and to beliefs. Discuss this in the scope of the following characters: Ali, Sister Anselm and Sheriff Maxwell. 6. The waiting room in the burn unit provides the perfect backdrop for many of the conflicts in the novel. The interactions between the families of Mimi, James and the old lady give Ali Reynolds (and the reader) insight into how each family handles the stress of what is happening to their loved one. What does this reveal about the characters in the novel? Why do you think Jance opted to have Ali spend so much time there? 7. Talk about Ali’s relationships throughout the book, both new and old. How does Sister Anselm’s role of “mending relationships” factor into play? 8. Compare how Judith Becker (Sister Anselm) reacted to the hardship of being disowned to how Donna Carson did. Why do you think their paths were so different? Could Sister Anselm have wound up like Donna? And vice versa? 9. What did you think about Ali accepting the offer to go to Glendale Police Academy? Was she as in love with “retirement” as she pretended to be? 10. What does the title Trial By Fire refer to? Mimi’s fight to live? Ali’s hardships with the Sheriff’s department? 1. Ali Reynolds acquired an extensive amount of background knowledge about the operations of the Yavapai County Sheriff’s Department. What kind of research did you do for this book? JAJ: Doing research is easy. Writing is hard. And it’s easy to convince myself that doing research is writing—which it isn’t. I learned as much as I could about the operations of the Yavapai Sheriff’s Department by studying their website. But I also write fiction, so I added and subtracted at will. Sort of like salt and peppering to taste. 2. Did you know the full direction of this book and Mimi’s fate when you started writing? Or did you let the story develop as you wrote it? I hated outlining when I first met it in sixth grade geography, so no, I didn’t know Mimi’s fate when I started writing. I didn’t even know who had done it. (If I knew all those books at the beginning of a book, I’d have no reason to write to the end. So yes, the story develops as I write it. 3. From Sister Anselm and her iPhone to B. Simpson and his limitless computer resources, many of your characters are exceptionally tech savvy. Are you a “techie” as well? I am not a Techie. At all. It took three years to wean me over from Windows to Mac. My approach to electronics is that I want to be able to turn them on and have them work—the way I want them to work. Fortunately, I do have an on-site techie in the family. In 1968 my husband was an electronics engineer working for the team at Motorola that built the first cell phone—the old brick one that didn’t go on sale until the mid-eighties. He reads manuals and keeps me in full tech mode. 4. You’ve had a number of reoccurring characters throughout your works: Joanna Brady, J.P. Beaumont, the Walker family and now Ali Reynolds. Why do you enjoy bringing the same characters back? Do you feel a connection with them? Using recurring characters gives me a chance to create backgrounds for them as well as background characters that make them seem real to me. 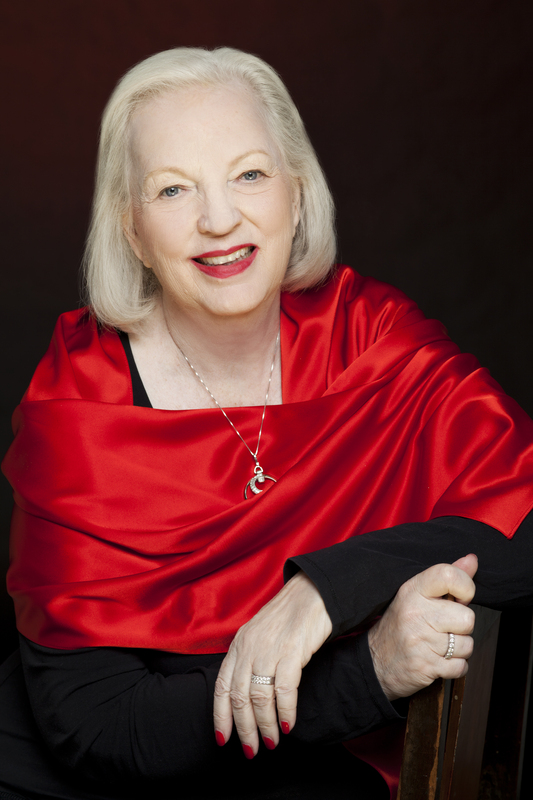 An editor told me once, “The problem with you is that all your characters do what they do because of the way they were raised.” And that’s as true for me as it is for my characters. When it comes time to write a new book, I’m always interested to see what my characters have been up to while my back was turned. Sometimes they surprise me. I still can’t get over the fact that Joanna’s mother eloped with the medical examiner while I was between Joanna Brady books. 5. How has Ali grown and changed over the course of your books? Has she ever done anything to “surprise” you? She has a complicated history. Like Beaumont, she’s financially secure, so she doesn’t HAVE to work. But she does work. She feels a responsibility to the world around her. In that regard, she’s following in her parents’ footsteps. Yes, she’s doing what she does because of the way she was raised. 6. Sister Anselm is a very intriguing character and will likely spur the most discussion. Whom, if anyone, is she based off of? Why did you decide to introduce the “Angel of Death” concept? Will Sister Anselm be back? Any chance she could get her own book? Yes, Sister Anselm was fun. But she also fills a very real need. There are literally hundreds of illegal immigrants who end up being hospitalized with terrible injuries in the border-states. They suffer from heat stroke and thirst when they are left to die in the desert. They are thrown out of speeding vehicles during high-speed chases. They end up in hospitals with no way of communicating with their caregivers. Years ago, I met a woman whose history was much like Sister Anselm’s. Her mother gave up her citizenship to care for a father who developed TB while in a German war relocation camp. The family was deported to Germany, and the father died enroute, leaving his wife and children stranded in Europe as Displaced Persons. The rest is fiction. 7. The waiting room on the burn floor of the hospital provides an extensive backdrop for the story. Why did you decide to have so much of the book take place there? Waiting rooms in hospitals are a microcosm of the world—life and death, love and loss. Old jealousies resurface and battles are resumed for some while others find forgiveness and the means to go on. 8. What kinds of comment do you hear most often from your readers? What made you decide to finally have Ali respond to B. Simpson’s advances? Can you give some hints as to what Ali’s romantic future holds? I can’t give you any hints about Ali’s romantic future because I don’t outline. I have no idea what’s going to happen. See answer # 2 above. But I think, after spending so much effort helping other people, she decided it was time for her to do something for herself for a change. 9. What’s next for you? What about for Ali Reynolds? I’m at work on Ali # 6. The baby has a title. Fatal Error. I’m working on chapter four. Someone is dead. I think I know who killed him, but I’m not sure.